To avoid all sorts of problems when installing plumbing fixtures, you need to know how to choose an installation for a toilet bowl. The range of installations is large and an ignorant person can quickly become entangled in a variety of models. Each has its own characteristics and characteristics associated with both the design and method of installation, and with the manufacturer. 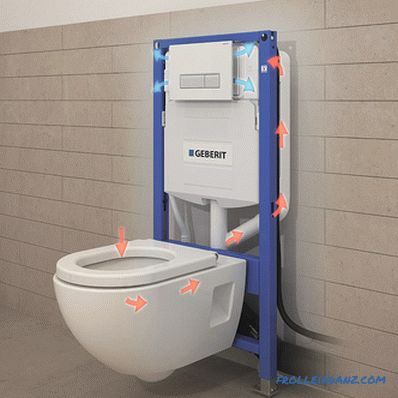 The installation is a special installation structure, which with the help of its elements allows you to fix a toilet, urinal, bidet or sink, on the outer surface of the wall. In this case, all the technical stuffing will be hidden in the thickness of the wall. On the outer surface of the wall will be displayed only controls. Removing the controls, you can always access the internal details of the installation system. 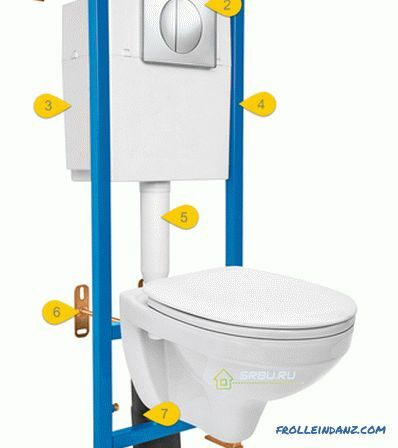 Standard frame installation device: 1 - Stud for fastening the frame to the wall; 2 - Flush button; 3 - Flushing tank; 4 - Rama; 5 - Drain pipe; 6 - Stud for fixing the toilet; 7 - Drain; 8 - Fastening to the floor. The type of installation system and its mounting method depends on where you can transfer the entire weight of the construction. If you have the opportunity to attach the installation to the main wall, then you need a block installation system. 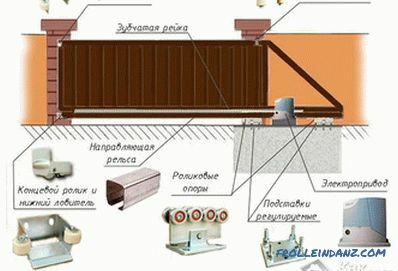 Such a system is fastened directly to the wall, with the help of anchor bolts and is suspended. These are more complex systems that are installed on the floor. Therefore, the entire load in this case will not be transferred to the wall, but to the floor. This allows the use of such frames in various false walls and hollow partitions made of plasterboard. 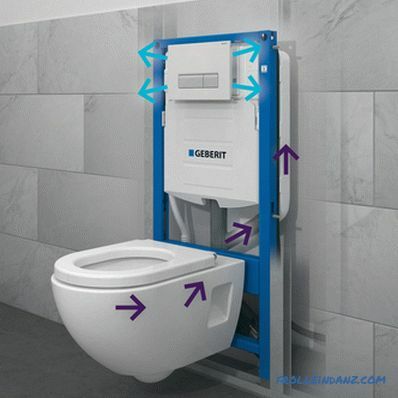 In addition, these systems allow you to adjust the installation height of the device within 20 cm, which is very convenient, because it allows you to install the toilet at the desired distance. Before you begin choosing a particular installation model in the store, you must find out where it will be installed . Standard installation for a toilet bowl is suitable in the case when indoors or near the bathroom, there are no restrictions on overall dimensions size and depth of installation. 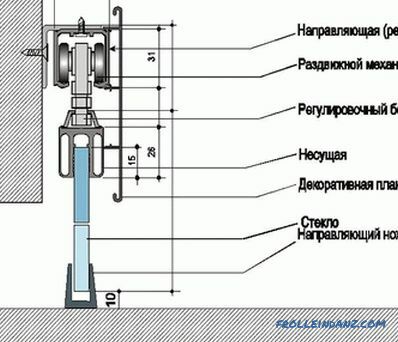 As a rule, it has the following dimensions (+/-): a width of 50 cm, an installation depth of 12 cm and an installation height of 112 cm. Most commonly used in standard apartments with small bathrooms. 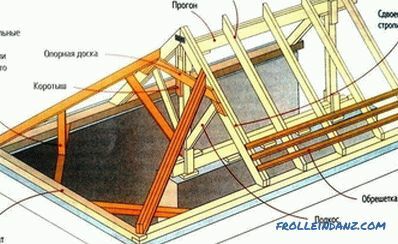 In this case, there is no need to pay attention to the overall dimensions of the installation. You can see the photo of the standard size installation above, where we looked at the installation device. In some types of apartment buildings or other premises there is a need to install an installation with height restriction. Most often this is due to the low windowsill, when installed under the window or the design features of the room. In such a case, most manufacturers produce special, "undersized" frames, the height of which is no more than 82 cm. Thanks to this parameter, you can use installations for a toilet bowl even in all kinds of difficult cases, with a lack of free space. Often, in shopping centers and office buildings, installation of bilateral installations is required. In this case, the majority of manufacturers also have in store a solution - systems of integrated design. Bowls themselves are located on all sides. 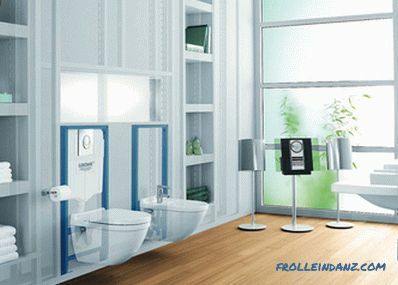 Difficulties often arise when it is necessary to install a toilet bowl in a corner of the room. This situation can be resolved in two ways: use a special corner mount or purchase special corner modules. Sometimes it is necessary to combine several plumbing devices on the same wall. For example, in addition to the suspended toilet to fix, bidet and / or urinal and all this is arranged in one line. For these purposes, there are also special installation systems. Since the choice of devices of this type is very large today, there are usually no problems with the selection of a particular design. It is only necessary to try to take into account all the possible features of the installation of devices of this type.This will greatly reduce the time required for this process, as well as avoid various kinds of problems. When you decide on the type and design of the installation, you need to carefully look at the model in the store. Many potential buyers evaluate controls only from an aesthetic point of view - which is not entirely true. 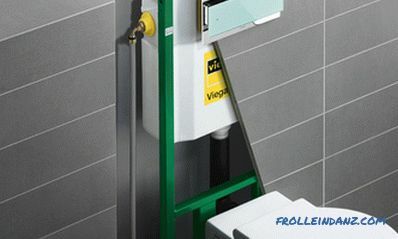 Of course, it is necessary that they fit into the interior of the sanitary unit as ergonomically as possible. But it is equally important to make sure that, if necessary, you can easily access the various controls. Since it is common for all to break down and disassemble a wall lined with tiles, it will be extremely inconvenient. Another important factor that you should definitely pay attention to is the execution of the flush button. The two-mode and flush-stop buttons are easier to use and repair. When installing them, there is no need to supply electricity or install batteries. Also, due to the simplicity of your device, these buttons are more reliable. The contactless buttons are equipped with a special sensitive sensor. He registers the presence or absence of a person near the toilet. Based on the information received, the discharge of water is turned on or off. Buttons of this type are more difficult to install and configure. Also, their cost is strikingly different from the simpler models. But at the same time, contactless devices are more hygienic, comfortable to use. There is no need to touch any surface with your hand if necessary to drain the water. Another important advantage of the contactless button is a stylish, modern design. Included with many installations are controls that do not protrude above the surface of the wall. 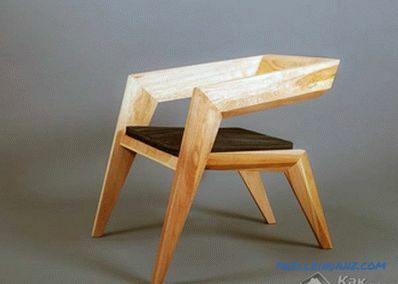 However, the choice of a particular modification is more a matter of taste and personal comfort. The absence of any individual elements leads to the need to visit the store again and additionally acquire the missing parts. The result is a waste of time and money. Also, the use of non-standard components can lead to difficulties in the installation process. That is why it is necessary when choosing an installation for a toilet, be sure to pay attention to the details that come with it. When choosing an installation, both for a suspended toilet bowl and for other equipment, it is necessary to pay attention to the manufacturer. Today the market is full of similar products presented by a variety of brands. They all have their own characteristics. But first of all, the cost depends on the brand. The products of each company have their own characteristics associated with both installation and design. The most expensive, but at the same time, high-quality installations on the Russian market are Grohe (Germany) and Geberit (Switzerland). The cost of products from the first brand is somewhat higher, but Geberit is usually somewhat cheaper. Despite the slight difference in price, the products of the companies under consideration are comparable in quality. there are some difficulties in acquiring parts. But thanks to a long service life and high quality, both of these drawbacks are disappearing. Since the probability of failure, in which there is a need to replace parts, is almost completely absent. If the budget of the buyer is not limited, then when choosing an installation you should first of all pay attention to Grohe and Geberit. 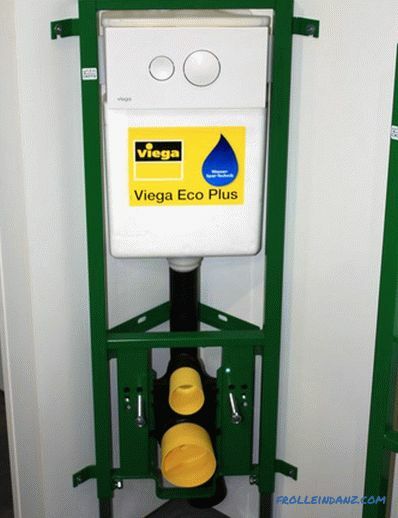 No less popular, but at the same time, cheaper are products from Viega (Germany) and Ideal Standard (USA). a variety of different designs. It was due to a somewhat lower price that these companies captured a rather significant segment of the market of the equipment of this type. That is why the models from Viega and Ideal Standart should look at, first of all, those whose budget is small. Despite the lower cost, the products of these brands have quite a decent quality. In order to decide which installation for the toilet to choose, it is necessary to take into account many different nuances. 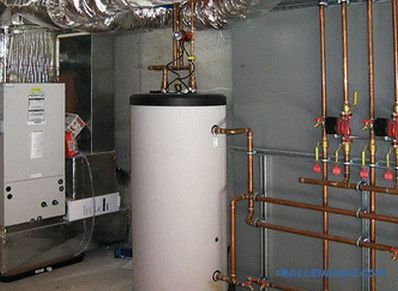 That is why it is best to consult first with an experienced plumber who has extensive experience in such work - this will avoid all sorts of problems during the installation process.